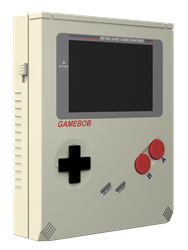 Home Run Games, a rapidly growing game designer and manufacturer, has announced the release of a new handheld video game console compatible with the original NES cartridges. The console’s design is reminiscent of the original handheld consoles from the late 80’s. Home Run Games Designing games that make you happy.